Written by Anna May Masnou on 12 April 2019 . Written by Anna May Masnou on 10 April 2019 . Written by Anna May Masnou on 31 March 2019 . Written by Anna May Masnou on 30 March 2019 . Written by Anna May Masnou on 29 March 2019 . Written by Anna May Masnou on 12 March 2019 . Written by Anna May Masnou on 05 March 2019 . Written by Anna May Masnou on 22 February 2019 . Written by Anna May Masnou on 30 January 2019 . Written by Anna May Masnou on 23 January 2019 . Written by Anna May Masnou on 07 January 2019 . Written by Anna May Masnou on 26 November 2018 . Written by Anna May Masnou on 21 November 2018 . Written by Anna May Masnou on 30 October 2018 . Written by Anna May Masnou on 18 October 2018 . Written by Anna May Masnou on 08 October 2018 . Watch here the video of the e-GAMES project, the ERC Starting Grant project awarded to Marta Mas-Torrent, explained here in plain words for everyone to understand! Written by Anna May Masnou on 03 October 2018 . The Nobel Prize in Physics 2018 was awarded “for groundbreaking inventions in the field of laser physics” with one half to Arthur Ashkin “for the optical tweezers and their application to biological systems”, the other half jointly to Gérard Mourou and Donna Strickland “for their method of generating high-intensity, ultra-short optical pulses”. Here at ICMAB we also work with lasers. Do you want to know how? Written by Anna May Masnou on 01 October 2018 . The Nobel Prize in Physiology or Medicine 2018 has been jointly awarded to James P. Allison and Tasuku Honjo "for their discovery of cancer therapy by inhibition of negative immune regulation". At ICMAB, we also work on projects related to cancer immunotherapy and we are very excited about this prize. However, the strategy followed by our researchers and by the Nobel Prize winners is somehow different. Do you want to know why? The ALBA Synchrotron has published its annual report, which covers the most remarkable activities of 2017, including scientific highlights. From the 20 highlights that appear on the report, 6 of them include the participation of ICMAB researchers. Written by Anna May Masnou on 30 August 2018 . The project "Las Científicas Cuentan"is an initiative of the CSIC Delegation in Brussels financed by the FECYT.The aim of the project is to bring basic science to the general public, through the story of women scientists who have been awarded with a ERC project during the past years. From the ICMAB, Marta Mas-Torrent (ERC-Starting Grant) and Teresa Puig (ERC-Advanced Grant) participate in the project. The presentation will be on Wednesday, September 19 in Barcelona with a talk by Teresa Puig on superconducting materials (7 pm). Written by Anna May Masnou on 28 August 2018 . According to the Ranking Web of Research Centers, the ICMAB has the most visible website of all the CSIC research centers and units. In addition, the ICMAB website has raised to the 2nd position in the global ranking (in 2017 it was in the 4th place, and in 2016 in the 13th), from a total of 138. Written by Anna May Masnou on 14 June 2018 . Researchers from the IBB-UAB fabricate 4 molecules of only 7 amino acidswith the ability to self-assemble and rapidly and inexpensively form nanomaterials for biomedical and nanotechnological purposes. Four peptides were used to create one of the most resistant bionanomaterials described to date, nanocables and mini enzymes to act as a catalyst for the formation of nanomaterials. The study, publised in ACS Nano included the collaboration of Isabel Fuentes and Francesc Teixidor from the ICMAB-CSIC. Written by Anna May Masnou on 11 June 2018 . The study published in Advanced Materials "An Unprecedented Stimuli Controlled Single-crystal Reversible Phase Transition of a Metal-Organic Framework and its Application to a Novel Method of Guest Encapsulation" was featured in UABdivulga. Written by Anna May Masnou on 30 May 2018 . These materials can have applications in selective gas separation or gas adsorption, as catalysts for chemical reactions, as encapsulation and drug delivery for active substances or hazardous waste adsorption. The strategy is based on the spherical shape of the boron-based linkers used as ligands. Written by Anna May Masnou on 16 May 2018 . A group of researchers from the NANOMOL group at ICMAB-CSIC has studied the behavior of an organic radical as a molecular cable formed through the covalent carbon-gold bond between the molecule and the electrodes. This linkage is more stable and geometrically better well-defined than its predecessors, in which other functional groups where used. This improvement opens the door to prepare novel electronic devices for Molecular Electronics applications. The study has been featured in UABDivulga, and we transcribe here the text. Researchers from ICMAB-CSIC and ALBA have analyzed the microscopic origin of the so-called "magnetic proximity effect" occurring at the interface between a magnetic material (CoFe2O4) and a nonmagnetic metal (Pt), which may induce a magnetic moment in the latter. The results are published in ACS Applied Materials & Interfaces. Written by Anna May Masnou on 07 May 2018 . Organizations and employers linked to R&D&I show their support for Spanish research and join the request of the Alliance of Severo Ochoa centers and María de Maeztu units (SOMMa) that encourages the political class to address the current administrative problems that affect Spanish science, as soon as possible. SOMMaand the organizations that support this initiative represent about 6,800 companies, societies, centers and research units, which employ more than 500,000 people in Spain and their economic activity equals 10.53% of GDP. Written by Anna May Masnou on 03 May 2018 . "Solitons are solitary waves, like a tsunami or a tidal bore" explains researcher Ferran Macià, one of the leaders of this study, published in Scientific Reports and in which the ICMAB has participated together with a team of physicists from the New York University (NYU). "In this work, we studied how magnetic solitons are generated and how fast they can be annihilated." "Like a tsunami, the mechanism behind their formation is complex, and we needed a lot of experiments and simulations to understand them. Solitons are very interesting because they can be used to propagate energy or information, in a similar way as our neurons work. This is why they have promising applications in neuromorphic computing applications, for example" continues Ferran.Nahuel Statuto, PhD student at the MULFOXgroup, working with Ferran, performed some of the experiments during his secondment at NYU. Written by Anna May Masnou on 19 April 2018 . ICMAB is the recipient of one of twelve MIT-Spain ”la Caixa” Foundation Seed Fund grants under a brand new funding programme in collaboration with the Massachusetts Institute of Technology (MIT). The presentation of the grants took place on 18 April 2018 at Palau Macaya (Barcelona). A common objective of all the awarded projects is to face some of the challenges of the XXI century: organs on a chip to fight cancer, polymers against antibiotic resistance, in vitro biologic 3D ears, quantic computers for data processing, or new materials to increase the efficiency of photovoltaic cells, to name a few. This latter is the project from Dr. Ignasi Fina, from the MULFOX group at ICMAB, who will work together with Dr. Rafael Jaramillo, at MIT. Written by Anna May Masnou on 16 April 2018 . Graphene-based materials are an efficient, cheap, abundant and non-toxic alternative for catalysing the obtaining of hydrogen, which can be used as a removable fuel, through the photoinduced water splitting. A group of the Institute of Materials Science of Barcelona (ICMAB) has developed, based on laser technology, a nitrogen-doped graphene powder material in different experimental conditions for different catalytic functions through the process, in a simple, versatile and scalable to industry way. Written by Anna May Masnou on 09 April 2018 . Written by Anna May Masnou on 03 April 2018 . A studyled by the Technische Universität Dresden, in which the group of Dr. Mariano Campoy-Quiles of the Institute of Materials Science of Barcelona (ICMAB-CSIC) participated, has developed organic photodetectors that detect light below its absorption band, with high efficiency, in a tunable way and in a very precise wavelength of the electromagnetic spectrum. Written by Anna May Masnou on 23 February 2018 . Dr. Anna Laromaine, from ICMAB-CSIC, and Dr. Núria Sánchez-Coll, from CRAG (Center for Research in Agricultural Genomics) have developed an effective method for plant tissue regeneration that involves the use of a bacterial cellulose-based biopolymer. It enhances the formation of new cell layers which boosts the healing processes. Wounds in plants can be caused by several agents like weather events (hail, wind…), predators (herbivores, insects) or humans (pruning, grafting), among others. Written by Anna May Masnou on 05 February 2018 . ICMABresearchers have designed ultrathin materials that maximize the absorption of light in a large range of the solar spectrum. The followed strategy, low cost and fully scalable, is based on combining the thin layer deposition of semiconductors on metals, and the nanostructuring of the material forming photonic crystals. The obtained superabsorbers materials have many potential applications, especially in the field of photovoltaic energy and photodetection. Written by Anna May Masnou on 30 January 2018 . An article about the research in perovskite appeared in "Televisión Nacional de Honduras" website, citing ICMAB, together with other research centers in Spain, where advanced research in this material is done: "Spain is one of the countries in which research (in the development of perovskite) is more advanced. Apart from the research group in the Institute of Materials Science in Sevilla, there are many more groups specialized in its study, in the University Jaume I of Castelló, the Institute of Molecular Science (University of Valencia), the Institute of Materials Science of Barcelona (ICMAB-CSIC), the Catalan Institute of Nanoscience and Nanotechnology (ICN2), the University Pablo de Olavide in Sevilla, and the Catalan Institue of Chemical Research (ICIQ)." Written by Anna May Masnou on 22 January 2018 . This news article, appeared at nanotechweb.org websitee (IOP publishing), features a publication recently published by Agustín Mihi and his team in Advanced Materials "Ultrathin Semiconductor Superabsorbers from the Visible to the Near-Infrared" (Pau Molet, Juan Luis Garcia-Pomar, Cristiano Matricardi, Miquel Garriga, Maria Isabel Alonso and Agustín Mihi). DOI: 10.1002/adma.201705876. Nanostructuring a thin layer of the semiconductor germanium using a technique called nanoimprinting lithography can greatly boost the amount of light it absorbs across the visible to near-infrared wavelengths. The broadband absorption comes from the strong interplay between Brewster and photonic crystal modes in the material and the effect could benefit optoelectronics applications such as photovoltaics and telecommunications. Written by Anna May Masnou on 18 January 2018 . This article appeared in Physics Berkeley website on Tuesday, January 16, 2018. We transcribe it here, since some previous ICMAB members participated in the study, which was recently published in PNAS: Emergent chirality in the electric polarization texture of titanate superlattices (Padraic Shafer, Pablo García-Fernández,Pablo Aguado-Puente,Anoop R. Damodaran , Ajay K. Yadav, Christopher T. Nelson, Shang-Lin Hsu, Jacek C. Wojdeł, Jorge Íñiguez, Lane W. Martin, Elke Arenholz, Javier Junquer, and Ramamoorthy Ramesh). DOI: 10.1073/pnas.1711652115. Written by jags on 11 January 2018 . Researchers from ALBA Synchrotron and from ICMAB have established an enriching and fruitful collaboration over the years, which is proven by the number of publications published together since ALBA received its first users, in 2012. In 2017, 24 publications appeared in collaboration between both institutions, which represented a 21 % of the ALBA Synchrotron articles. Written by Anna May Masnou on 10 January 2018 . A recent publication in Advanced Functional Materials by Dr. Marta Mas-Torrent and her team has been chosen to be highlighted on Advanced Science News website. The group is working on the development of high-performance electrolyte-gated field-effect transistors (EGOFETs), electronic devices capable of working in aqueous environment. Written by Anna May Masnou on 18 December 2017 . The last issue (number 16) of the Digital CSIC journal "CSIC Abierto" includes two interviews with ICMAB's Documentalist and Librarian, Alejandro Santos, and with ICMAB Researcher at the NANOPTO Group, Dr. Mariano Campoy-Quiles. The interviews deal with the Open Access mandates adopted by the funding agencies and the experience at ICMAB on accomplishing these mandates. Written by Anna May Masnou on 02 December 2017 . Dr. Mariona Coll, researcher at ICMAB, and Prof. Xavier Obradors, ICMAB Director, attended the awards ceremony of the L'Oréal-UNESCO Research Awards in Madrid. Mariona was awarded with one of the five awards for her project on the research of new materials for efficient conversion of solar energy. Written by Anna May Masnou on 24 November 2017 . As we already announced on July 2017, Mariona Coll, researcher at the Institute of Materials Science (ICMAB) in the SUMAN group, has been awarded with the Research Award L'Oréal-Unesco "For Women in Science" 2017. The awards ceremony took place this last Wednesday, 22 November, in Madrid. Mariona will receive 15.000 € that will be invested in her research project which "can contribute to one of the most important challenges of this century: find a new energy system for the production of clean energy". Written by Anna May Masnou on 22 November 2017 . Written by Anna May Masnou on 26 October 2017 . A multi-disciplinary collaboration between research centers in Spain and Holland, led by the Catalan Institute of Nanoscience and Nanotechnology (ICN2) and the Institute of Materials Science of Madrid (ICMM-CSIC), in collaboration with the Debye Institute for Nanomaterials Science of Utrecht University and the Institute of Materials Science of Barcelona (ICMAB), has resulted in the formation of highly-porous metal-organic framework particles that spontaneously assemble into well-ordered 3D superstructures that present photonic crystal properties. Published in Nature Chemistry, their discoveries are expected to find applications in the design of novel photonic materials for sensing applications, among others. Written by Anna May Masnou on 25 October 2017 . Two Scientific Highlights with the participation of ICMAB researchers are featured in the ALBA Synchrotron Activity Report 2016. Written by Anna May Masnou on 24 October 2017 . ICMAB-CSIC researchers are able, for the first time, to measure the very small amounts of charge generated in piezoelectric materials with an inverse use of the atomic force microscope (AFM). The technique, published in Nature Communications, has been implemented by incorporating a new device to the microscope that allows measuring electric currents one billion times smaller than the ones circulating in an LED. Written by Anna May Masnou on 20 October 2017 . Xavier Obradors, ICMAB Director and Researcher at the Superconducting Materials and Large Scale Nanostrucures (SUMAN) Group, participated in a roundtable "from Lab to Fab" at an ICN2 Severo Ochoa Workshopin June 2017. The roundtable discussion was chaired by ICN2 Business Development Officer, Nadia Pons. Written by jags on 31 July 2017 . Written by jags on 18 July 2017 . Written by jags on 07 July 2017 . The Institute of Materials Science of Barcelona (ICMAB) has become a new member of the European network of science centres and museums ECSITE, which was created more than 25 years ago to foster creativity and critical thinking in European society, emboldening citizens to engage with science. Written by jags on 03 April 2017 . El Consejo Europeo de Investigación (ERC, por sus siglas en inglés) cumplió 10 años el 24 de marzo de 2017. A lo largo de esta década de vida, se ha financiado a unos 7.000 investigadores, permitiendo la publicación de cerca de 100.000 artículos en revistas científicas internacionales. Written by jags on 30 March 2017 . Xavier Granados García es Científico Titular del CSIC y miembro del Departamento de Materiales Superconductores y Nanoestructuración a Gran Escala. Desde 1987, ha colaborado con el grupo de Superconductividad en la Universidad de Barcelona y posteriormente en el Instituto de Ciencia de Materiales de Barcelona desde su fundación, contribuyendo en el desarrollo de actividades de I+D+i en el campo de la Superconductividad y sus Aplicaciones en el Área “Large Scale” de sistemas electrotécnicos, liderando las actividades en este área dentro del grupo de Investigación. Written by jags on 15 March 2017 . El coordinador del projecte, Xavier Obradors, ha explicat que Eurotapes és un "projecte europeu de referència de superconductors", resultat de la col·laboració entre el món acadèmic i la indústria. "Les cintes superconductores poden fer passar 100 vegades més corrent que la fibra de coure", ha informat Obradors, i això permetrà "transportar molta energia i disminuir el cost de producció d'aquesta cinta". Written by jags on 14 March 2017 . Els resultats d'Eurotapes es van presentar a Barcelona, en una roda de premsa que va comptar amb la participació del coordinador del projecte, Prof. Xavier Obradors; la responsable del departament de superconductivitat de l’ICMAB-CSIC, Prof. Teresa Puig; el director executiu d'OXOLUTIA Dr. Albert Calleja; i el director de la Representació de la Comissió Europea a Barcelona, Ferran Tarradellas i l'Agencia EFE, Agència catalana de Notícies, Expansión, La Sexta i El Periódico. Written by jags on 10 March 2017 . "Rodríguez and Guillermo de Andrés put together the two-day YoMo workshop, called “Bridg3D: Learning, Engineering, Playing with 3D Printing Technology.” It allowed students to be scientists for a day, thanks to the popular 3D printing pen 3Doodler. ICMAB clearly favors the 3Doodler, having used it last summer in a course the organization designed to teach high school students about materials science. " Written by jags on 15 February 2017 . 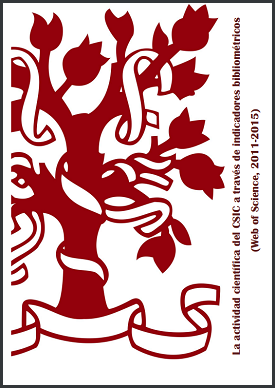 Digital CSIC, the institutional repository of the CSIC, has published the annual report concerning the scientific activity of the institution from 2011 to 2015. Written by jags on 09 February 2017 . L’informe «La actividad científica del CSIC a través de indicadores bibliométricos (Web of Science, 2011-2015)» ha estat elaborat per investigadors i tècnics del Centro de Ciencias Humanas y Sociales (CCHS) del Consejo Superior de Investigaciones Científicas (CSIC). Written by jags on 17 November 2016 . Written by jags on 27 July 2016 . Jaume Veciana lleva más de 20 años liderando el trabajo del grupo Nanomol en los campos de la nanomedicina y el procesamiento de materiales moleculares y poliméricos para aplicaciones biomédicas. Coordina, además, las plataformas del CIBER-BBN y es director científico de NANBIOSIS. En esta entrevista, adelanta alguna de las líneas maestras del Plan Estratégico de esta Infraestructura Científico-Técnica Singular, que incluye una clara apuesta por su internacionalización. Written by jags on 23 June 2016 . M. ROSA PALACÍN PEIRO (ICMAB-CSIC), Coordinadora de ALISTORE-ERI, Instituto Virtual de Investigación Europea, es investigadora en el Instituto de Ciencia de Materiales de Barcelona (ICMAB-CSIC) y desde hace 18 meses vicedirectora. Written by jags on 07 June 2016 . A versatile technology, 3D printing has not only set the gears in motion for a manufacturing revolution but has also been a big help in promoting STEM education amongst younger generations. Written by jags on 06 June 2016 . Sus Majestades los Reyes han recibido en el Palacio de la Zarzuela a directores y representantes de los 33 centros y unidades que han sido acreditados con el mayor reconocimiento institucional a la investigación científica en España, los centros ‘Severo Ochoa’ y unidades ‘María de Maeztu’. Written by jags on 23 March 2016 . Hasta ahora se pensaba que la superconductividad y el magnetismo eran fenómenos excluyentes, pero investigadores del Instituto de Ciencia de Materiales de Barcelona y del Sincrotrón ALBA han encontrado una nueva fuente de magnetismo derivada de defectos puntuales en un tipo de superconductor: los cupratos de alta temperatura. El descubrimiento ayudará a mejorar las propiedades de estos materiales. Written by jags on 07 March 2016 . Interesting and useless - this was the common perception of antiferromagnets expressed quite explicitly, for example, in the 1970 Nobel lecture of Louis Neel. Today, 6th March 2016, we operated the first USB-compatible antiferromagnetic memory device. Written by jags on 05 February 2016 . Por qué pierden prestaciones las baterías? Un artículo publicado en la revista Science escrito por la Dra. M. Rosa Palacín, investigadora en el Instituto de Ciencia de Materiales de Barcelona (ICMAB) del CSIC en colaboración con la Dra. Anne de Guibert, Directora de Investigación de la empresa francesa SAFT, fabricante de baterías, recopila las causas del envejecimiento y pérdida de prestaciones de las baterías. Written by Anna May Masnou on 01 February 2019 .